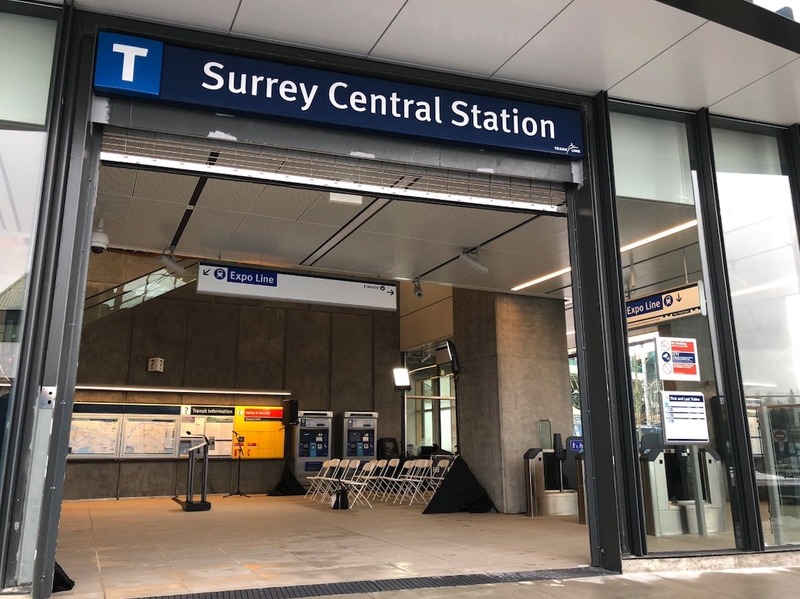 After two years of construction, a major expansion of Surrey Central Station on SkyTrain’s Expo Line is set to open. The $24.3-million project consisted of constructing a new entrance building on the north end of the station structure, providing alternate entrances into the station from City Parkway and Central Avenue. This supplements the existing entrance from the south end of the station, which directly leads to the station’s bus loop. This expansion is anticipated to open shortly over the coming weeks. 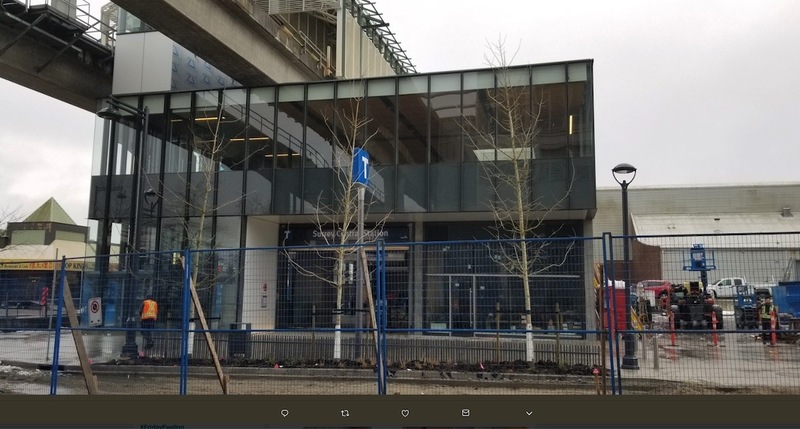 The new glass-walled, wood-ceiling entrance building includes a new ticketing concourse area with numerous fare gates, three escalators, three staircases, and one elevator. 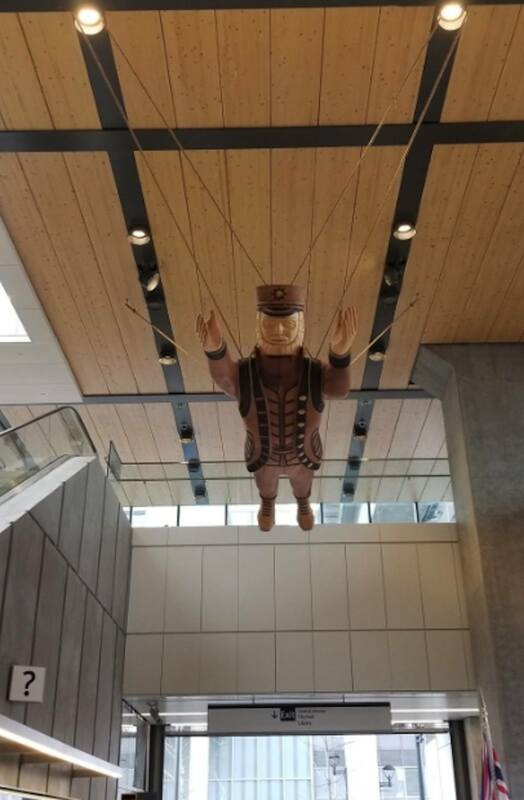 A two-storey space in the concourse features ‘The Sea Captain,’ a suspended First Nations public art piece by Marianne Nicolson. There is also space for a future retail unit to help activate the station expansion. 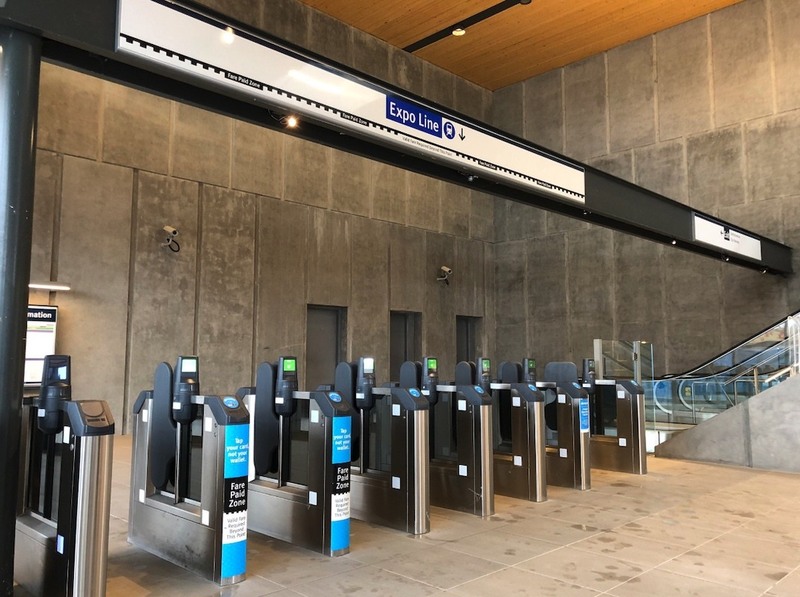 Over 12,000 boardings per weekday are currently experienced at the station, and the latest upgrades will allow the station to handle double the circulation capacity. It also makes it easier for passengers to connect to and from the Expo Line or catch their bus. 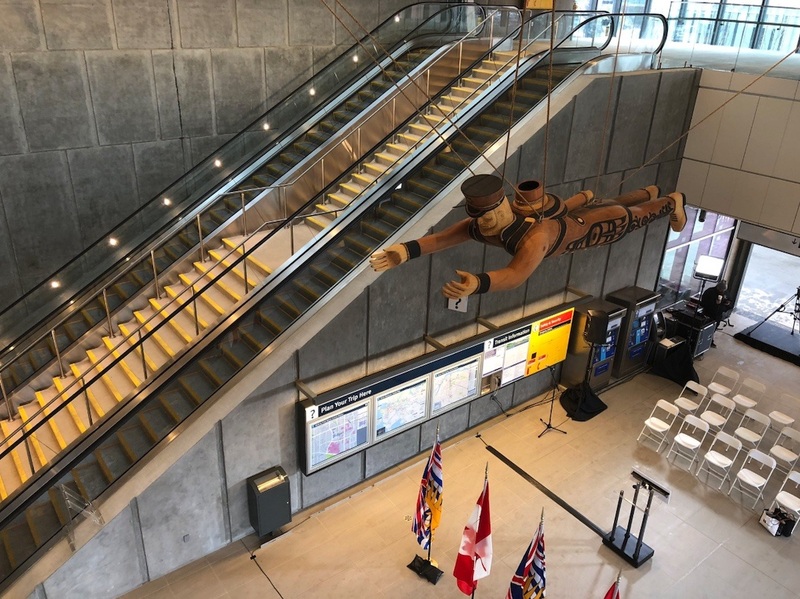 The federal government and provincial government provided the project with $3.2 million and $6.8 million, respectively, while TransLink covered the remainder. This is the seventh and final station as part of TransLink’s Expo Line Upgrade Strategy. 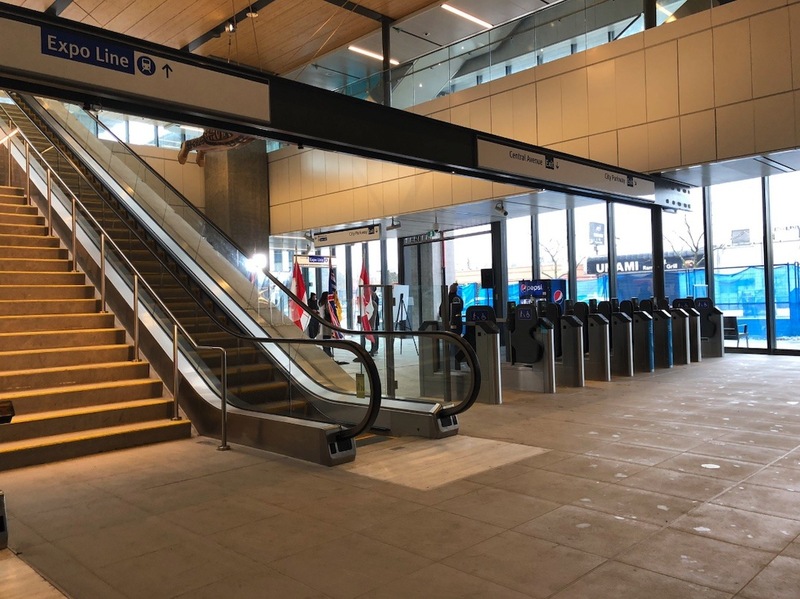 The six other stations that saw upgrades include Scott Road Station, Main Street-Science World Station, New Westminster Station, Metrotown Station, the first phase of Joyce-Collingwood Station, and the second phase of Commercial-Broadway Station, which opened earlier this month. TransLink is currently in the process of conducting a second phase of upgrades on Joyce-Collingwood Station. This largely entails a rebuild of the west side of the station. 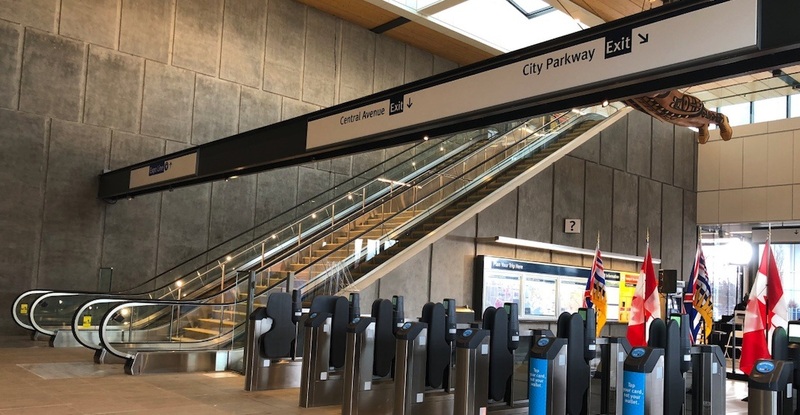 With the Expo Line Upgrade Strategy complete, attention is now expected to turn to major improvements to Brentwood Town Centre Station and Burrard Station, which could see a new secondary elevator-only entrance with six elevator lifts.